Some people lower their expectations of how things might turn out to spare themselves future disappointment. 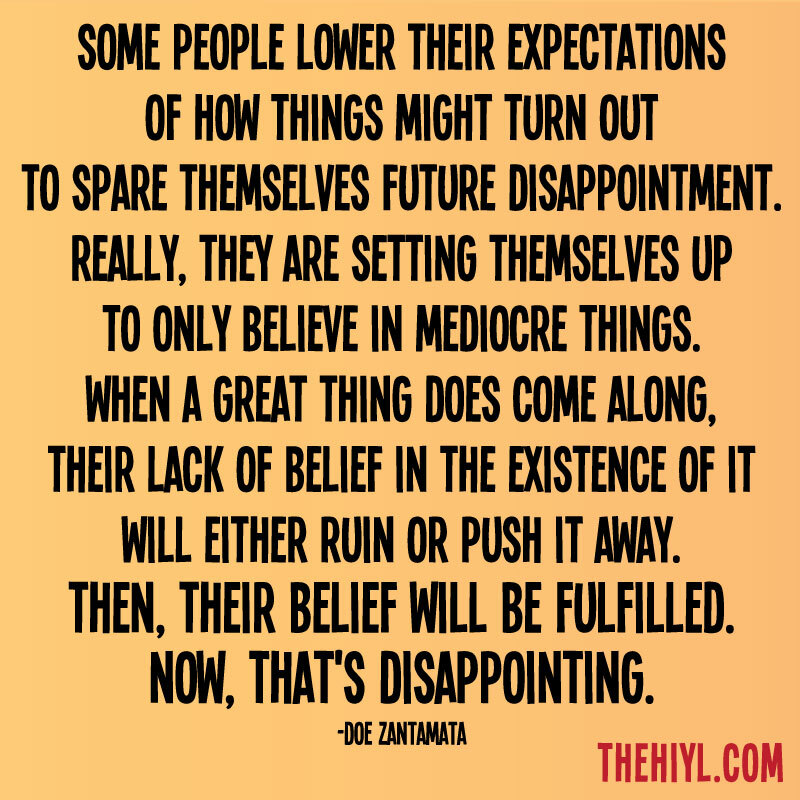 Really, they are setting themselves up to only believe in mediocre things. When a great thing does come along, their lack of belief in the existence of it will either ruin or push it away. Then, their belief will be fulfilled. Now, that's disappointing.